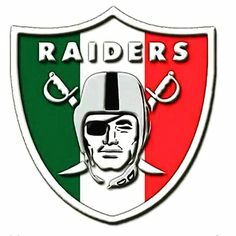 The Raiders temporarily moved to Mexico, as part of the NFL’s “globalisation” plans, for their week 11 game against the Houston Texans. Guess nobody told the NFL about the anti-globalisation movement just yet. Anyway, the trip to Estadio Azteca went relatively smoothly; the American anthem wasn’t booed, free trade seemed to take place and no walls got built. At 7-2 on the year, the Oakland Raiders were sitting pretty in second place in the AFC West with their eyes set on a first round bye and a home playoff game. By playing on Monday night it gave them a chance to see how their rivals were doing, and spirits were high after the division rivals Kansas City Chiefs lost narrowly and so dropping to 7-3. The Raiders took their chance and beat the Houston Texans 27-20 in Mexico City, moving to 8-2 and romping to the top of their conference. Thanks, in part, once again, to Del Rio gambling on a 4th and short in the dying minutes of the game. The Aztec Stadium is at 7,380 feet, which is about 2,000 feet above the Broncos Mile High venue. And the smog levels in Mexico City are described by everyone as horrendous. Thus we can calculate The Raiders are simply harder than their opponents when the going gets tough.